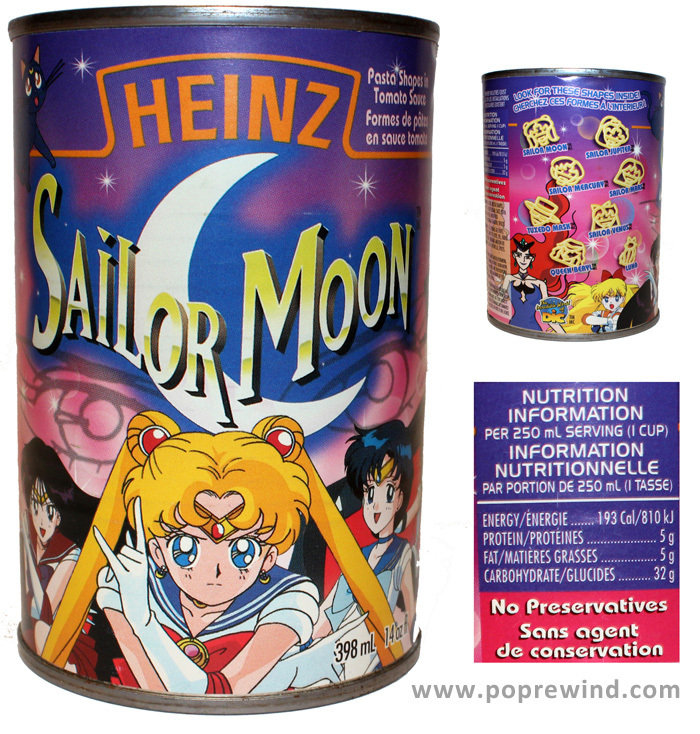 The pride and joy of the North York, Ontario Heinz plant is this here can of Sailor Moon pasta, a 1997 vintage. 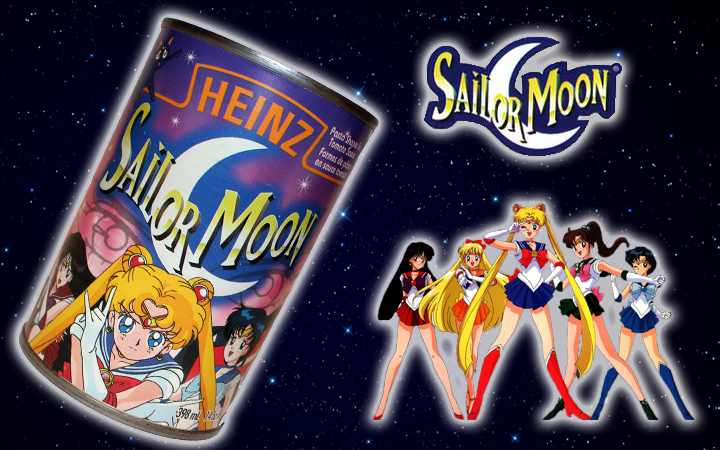 This includes pasta representations of the Sailor Scouts, Luna, Tuxedo Mask, and Queen Beryl, all in a tasty tomato sauce. For being 15 years old, the can is in pretty good shape, but it is showing some rust and the contents slosh around in a really unsettling way. Would you be brave enough to eat this? I would eat it in a second. I have an odd obsession with old food. I’m still trying to hunt down a full box of Mr T. cereal.